is honored on Panel 52W, Line 14 of the Vietnam Veterans Memorial. 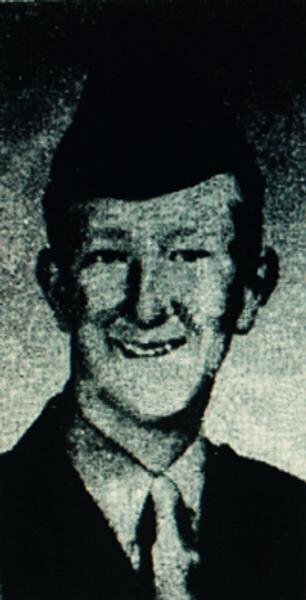 A Lexington youth who had been in Vietnam a month died July 11 of wounds received in combat. Marine Pfc. Edwin Zeke Floyd 18, son of Mr. and Mrs, Harry B. Floyd was fatally wounded while serving in the Quang Tri Province, Republic of Vietnam. Pfc. Floyd had served actively in the Boys Scouts before joining the Marines. He was an Explorer and had received the God and Country Award and the Order of the Hour (Arrow) Award. A native of Richmond, he attended Lafayette High School and was a member of the Gardenside Baptist Church. Besides his parents, survivors include a sister, Miss Wanda Kay Floyd, Lexington, and his maternal grandparents, Mr. and Mrs. B.F. Brown, Neon. As a gesture of grief at the youth's death, the flag at the Municipal Building will be flown at half-mast until Wednesday, Mayor Charles Wylie announced yesterday. Mayor Wylie also expressed the city's sympathy to Mr. and Mrs. Floyd. The body will be brought to W.R. Milward Mortuary- Southland. Edwin is buried at Hillcrest Memorial Park, Lexington,KY.